Let’s get ready for our Easter road trip in Tempe at Sounds Good to Me near Phoenix Arizona. 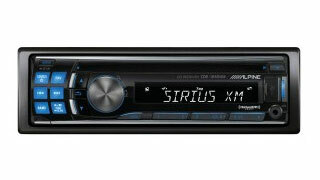 How about starting your trip in Arizona with the new and innovative Alpine head unit cde-124sxm? This cool little unit actually has XM satellite radio built in plus front input to plug in your iPod/iPhone which charges it and plays directly through your system with ipod controls built into the radio. The Alpine head unit cde-124sxm has a detachable face for security and hi-powered to make your speakers sound like a concert hall. If you’re a Pandora user Alpine has two new units that have Pandora features built in so once you have the Pandora app downloaded to your phone just plug it into your cde-124sxm Alpine head unit and it’ll act just like your i-phone but through your head unit. Sounds Good to Me car audio electronics in Tempe, AZ near Phoenix, Arizona, has these units in stock and ready to be installed at your convenience and better yet most car installs usually take less than 1 hour. So call make an appointment and let’s get the show on the road!